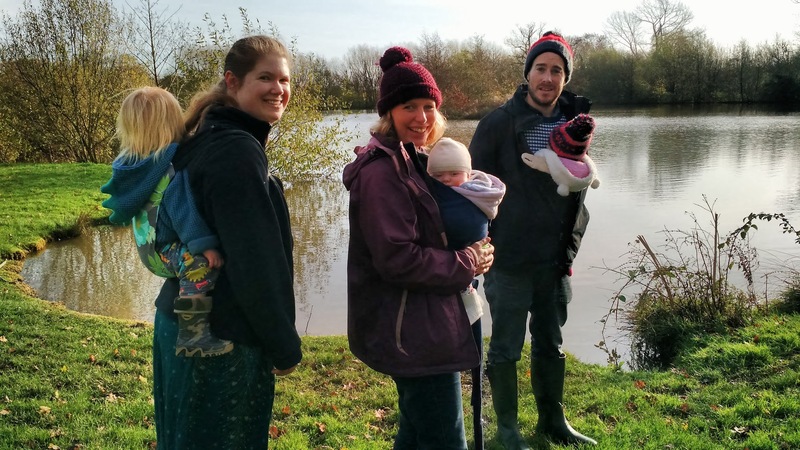 Nova Baby Carriers are a UK based family run business, who have been making baby carriers since 2011 (originally under the name SnugiWraps, which is now their stretchy wrap brand). They currently make buckled carriers, Mei Tai’s and Onbus, which are all fully customisable to your own individual tastes. They sent me one of their very popular buckled Onbus for testing and giveaway (on the Sling Sally Facebook page). 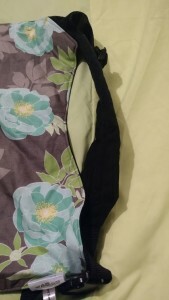 I’ve previously used a wrap strap onbu (see the review here), but this was my first go with a buckled onbu. My first impressions were how neat and small it was, if you want a carrier that will fit in a tiny space this is definitely for you! 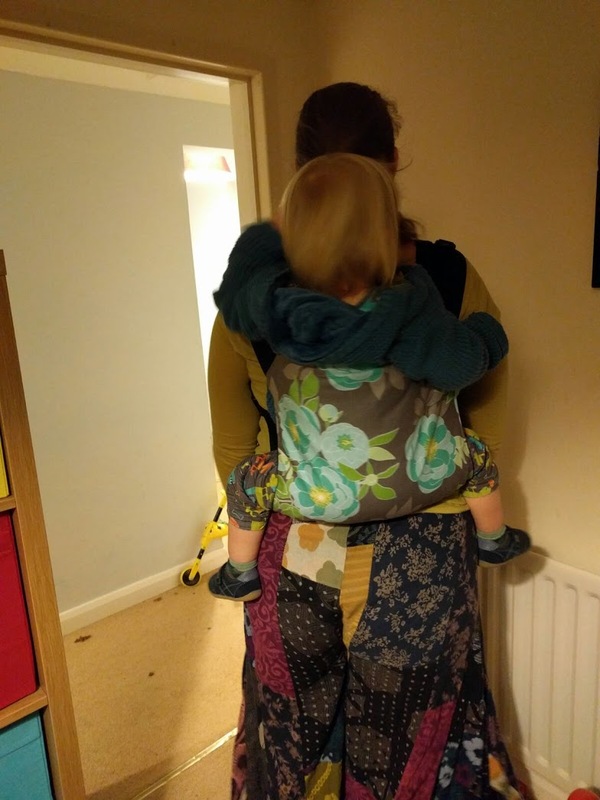 Onbu’s don’t have waist straps so are worn (on front or back), rucksack style with the child’s legs coming out the side so that the panel goes down their back, under their bottom and curls back up between you and them to form the seat. 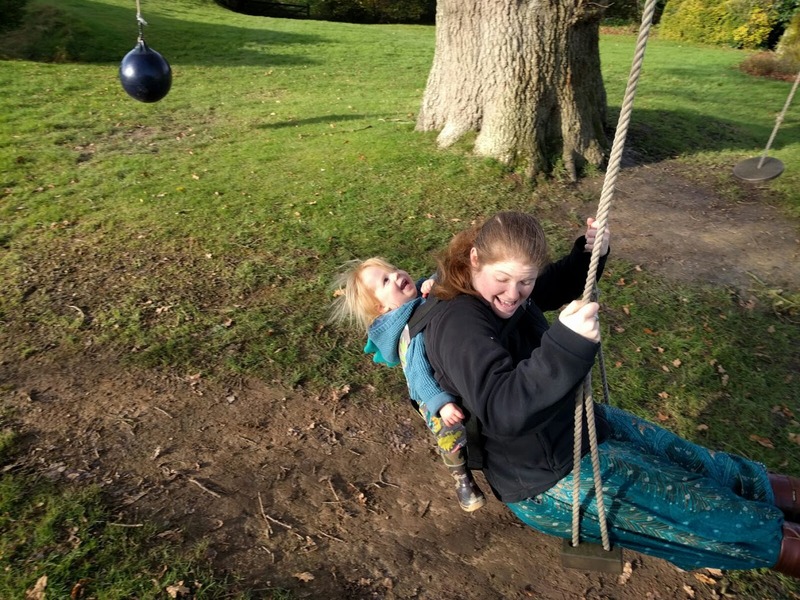 This makes them ideal for pregnant women as there is no strap over their bump, or just for people who find slings more comfortable without a waistband. 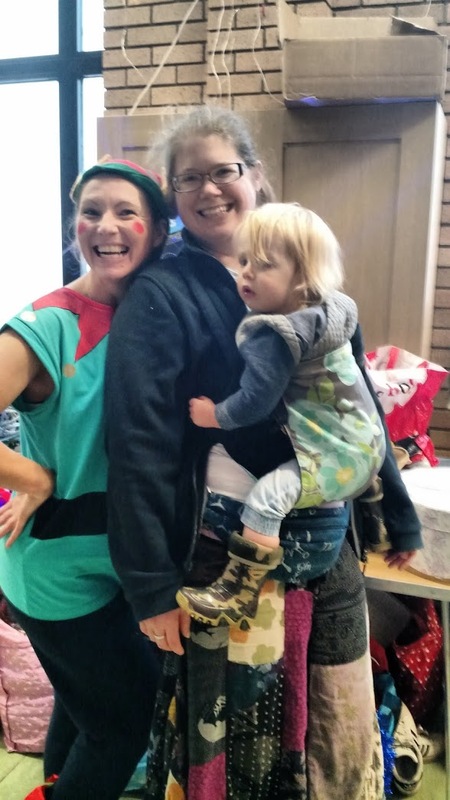 Ideally the child’s arms are out over the top of the panel, but Reu is very much an arms in sort of child no matter how many times I coax them out! 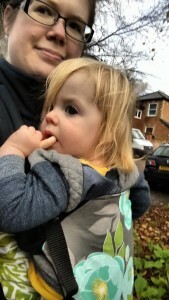 The shoulder straps have a light amount of padding, very similar in level to the Connecta, and there are tightening systems both where the buckles attach at the base ot the panel, as well as perfect fit adjusters on the straps at the top of the panel. 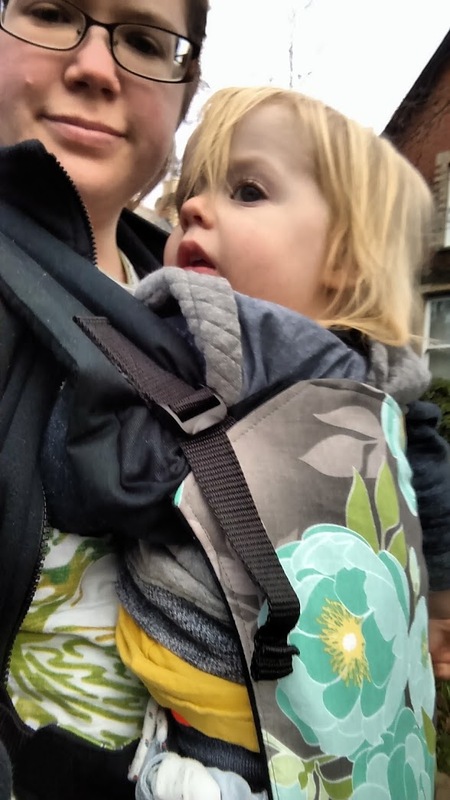 The onbu I received has a lovely floral design, but there are over 1000 different fabrics to choose from, as well as customisable strap colours and hood options. 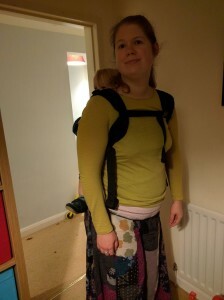 I found the Nova buckled onbu really easy to use, and personally found the easiest way to get nearly two year old Reu onto my back was to stand him in the carrier in front of me so the seat was already formed, and then superman him onto my back as I would with a wrap, but you could use any normal method. The webbing tightening straps were then easy to reach to tighten to a comfortable level for us. I found the padding level in the straps very comfortable, there’s enough that nothing is digging, but not so much that the straps stick out of their own accord, which I find can make straps difficult to get on and get to conform to your arms. 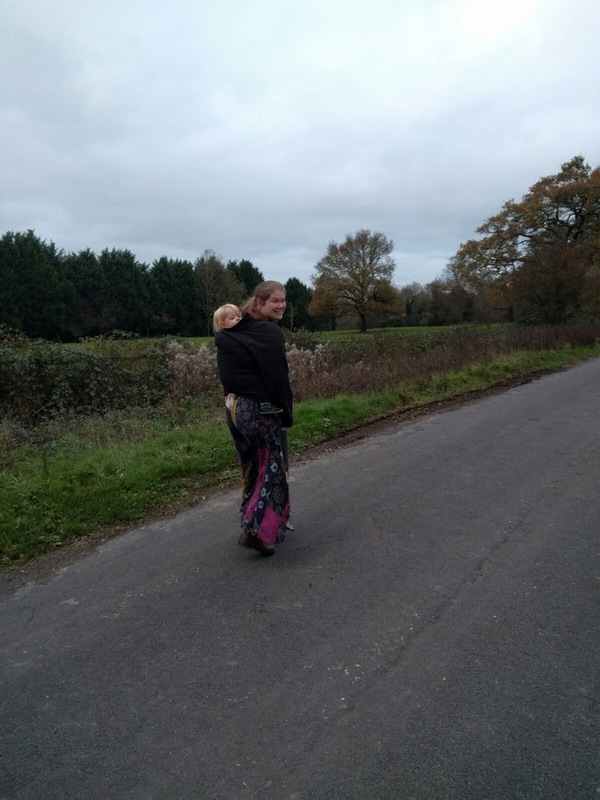 We went on a long hilly country walk while testing the Nova onbu and it was really comfortable throughout. 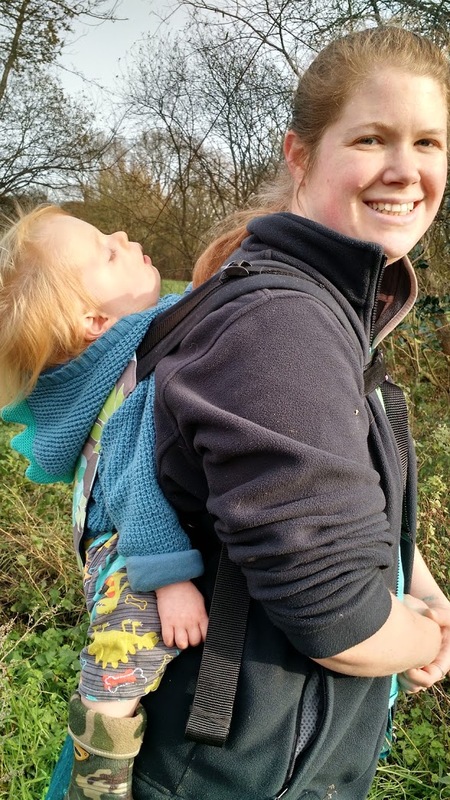 Despite slippy terrain and going over lots of stiles and hills, the carrier stayed in place and Reu was comfy enough to sleep through most of the walk. 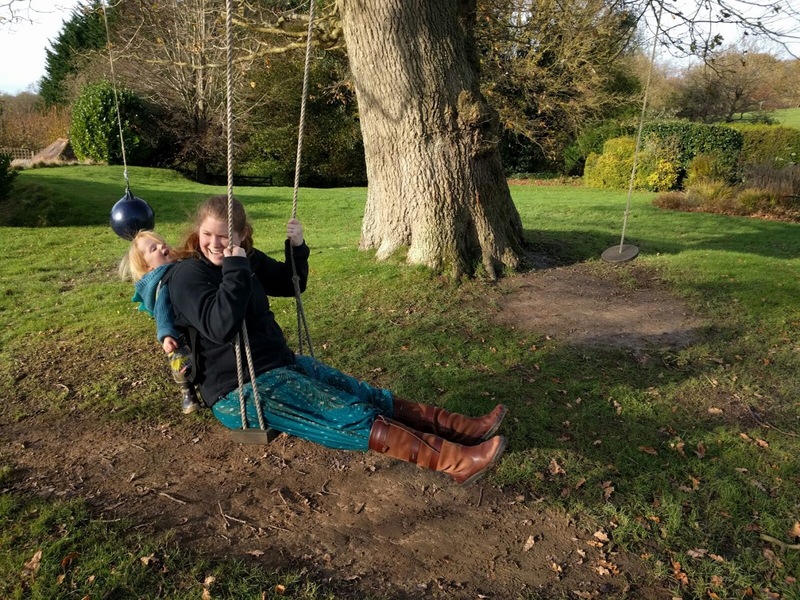 We also tested it out on a swing (which Reu very much enjoyed! 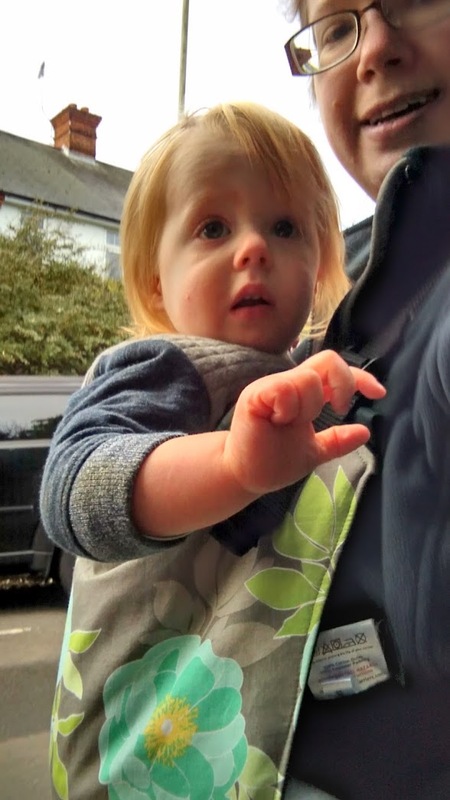 ), and despite all the movement the sling stayed put, holding Reu against me very securely. Through the rest of our testing I continued to be impressed by the ease of use and comfort of this carrier, and it’s very handy how small it packs away when not in use. 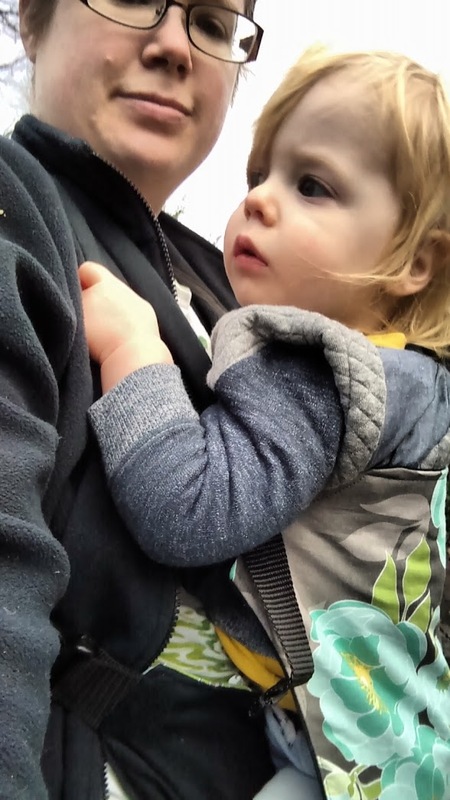 I think the Nova buckled onbu is a really good carrier, very well designed, easy to use and comfortable for both adult and child. The compactness is a definite bonus and it would easily fold up into a changing bag or smaller. Nova add new in stock carriers to their website each week, but it’s a lovely option to be able to choose your own fabric and other details so you can have a truly individual carrier at a very reasonable price. Perfect for my diaper bag for when not in use with my baby girl. I love your onbu adventures Sally!